Women who suffered from side effects after taking Yaz and related pill Yasmin, both for birth control, filed more than 11,000 lawsuits against pharmaceutical giant Bayer. The pills caused blood clots, gallbladder issues, heart attacks and strokes, lawsuits alleged. Thousands of women who suffered injuries or feared side effects have filed suit after taking Yaz and Yasmin for birth control. The pills’ manufacturer, Bayer, denies any wrongdoing, telling ABC News in a statement that its drugs are as safe as other birth-control pills when used correctly. Those allegedly harmed by the birth-control pill, or those who lost loved ones as an alleged result of their use of the oral contraceptive, claimed that the pharmaceutical company intentionally concealed knowledge of risks and misled the public about supposed benefits. Several independent studies surfaced in 2011 called into question the safety of birth-control pills with a synthetic estrogen called drospirenone, including Yaz and Yasmin. 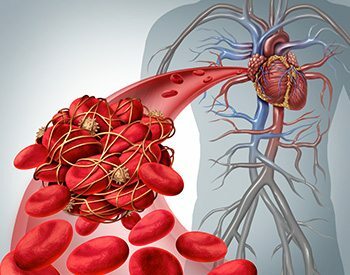 As of January 2016, Bayer had agreed to pay $2.04 billion to settle over 10,000 claims for blood-clot injuries. The U.S. Food and Drug Administration (FDA) confirmed in 2012 that drospirenone may trigger an increased risk of blood clots (as high as a three-fold increase) compared to older oral contraceptives containing other progestins, such as levonorgestrel. The company settled with thousands of people who filed claims for gallbladder injuries. It also settled another 1,200 claims in which people say they suffered strokes and heart attacks after taking Yaz or Yasmin. Bayer still faced 8 pending lawsuits in federal court as of Decmber 2018. It had budgeted $1.5 billion for settlements. Users of Yaz and Yasmin say they’ve suffered from heart, gallbladder and blood disorders. Thousands of injuries and more than 100 deaths are connected to the drugs’ severe side effects. In their lawsuits, people say Bayer knew or should have known of the alleged risks, and should be held liable for having failed to disclose them or adequately warn users. People say Bayer marketed Yaz in a way that played up benefits and downplayed serious dangers. They also accuse Bayer of not doing enough research and failing to issue a recall after reports showed risks. Women who filed lawsuits against Bayer claim Yaz/Yasmin caused or was a contributing cause of their health problems, including gallbladder injuries, blood clots, stroke, kidney injuries and kidney failure. Maggie Yunker of Illinois, for example, suffered a life-altering stroke at 20 after switching to Yaz from a different form of birth-control pill, according to her lawsuit. Yunker had been taking birth-control pills for about a year when her doctor suggested the switch. Promised that Yaz could clear up acne and relieve period symptoms, Yunker began taking the new birth-control pill. She developed multiple blood clots that broke free and traveled to her brain. 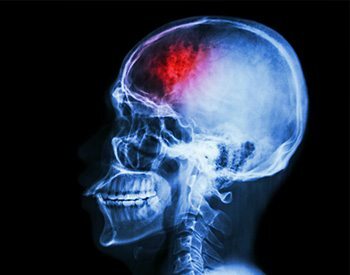 There, they cut off blood flow to the brain and caused a stroke, according to her lawsuit. Bayer settled Yunker’s claim for $237,000. A total of about 20,000 women were injured or died after taking Yaz, resulting in similar lawsuits to Yunker. In 2007, Carissa Ubersox was 24 and a new college graduate. She had just started working in her new role as a pediatric nurse when her boyfriend came to her job on Christmas day and proposed to her. Ubersox wanted to “look and feel her best for her wedding day,” so she switched her birth control to Yaz. A commercial made it sound “like a miracle drug,” she later told ABC News. But in February 2008, just three months after she began taking Yaz, Ubersox said her legs began to ache, which she shrugged off as being a “side effect” of standing on her feet for 12-hour nursing shifts. But soon, Ubersox found herself gasping for air. Blood clots in her legs traveled through her bloodstream to her lungs, resulting in a double pulmonary embolism (PE) that nearly took her life. Her heart stopped on the way to the hospital after her fiancé called 911. Revived by emergency doctors, she remained in a coma for almost two weeks. In 2009, all Yaz and Yasmin federal cases from across the country were consolidated for greater efficiency since they shared similar claims against common defendants. The so-called multidistrict litigation (MDL) was transferred to the U.S. District Court for the Southern District of Illinois. U.S. District Judge David R. Herndon was put in charge. During the litigation, Bayer failed to exclude an expert for plaintiffs: former FDA commissioner Dr. David Kessler. Kessler, who served from 1990 to 1997, said Bayer withheld vital information about the risks associated with Yaz during the approval process. He also said that an FDA advisory committee’s vote to keep Yaz on the market was tainted by conflicts of interest. Bayer argued that Kessler didn’t have the credentials to be an expert. The judge disagreed, however, telling Bayer he considers Kessler an expert. The MDL is still ongoing. Meanwhile, hundreds of lawsuits were also filed and consolidated in state courts in Pennsylvania, New Jersey and California. Yaz pulmonary embolism cases were supposed to be the first to go to trial with one test case selected by Bayer and another case selected by the plaintiffs. The next round was to involve women who suffered from gallbladder injuries, and the final round was to include blood clot injuries. However, a federal judge heading up the multidistrict litigation, postponed the bellwether proceedings and ordered both sides to mediation. The state court cases in Pennsylvania and New Jersey were also postponed, awaiting the mediation outcome. As of March 2014, Bayer had settled 8,250 cases for $1.7 billion. Less than two years later, the number of settled cases more than doubled, with Bayer on the hook for more than $2 billion. As of November 2018, 13 cases remained pending under the MDL.